Air Canada Rouge has dropped the price of their February and March flights from Toronto to the beautiful Caribbean island of Turks & Caicos. 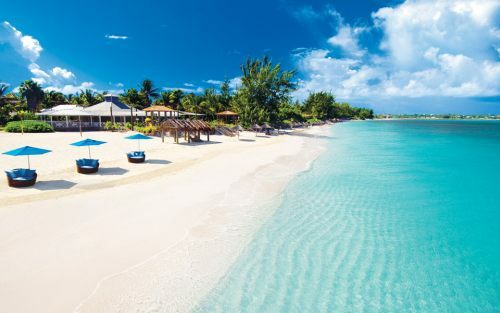 Where to stay in Turks & Caicos? The following AirBNB links will lead you to some great deals on places to stay in Turks & Caicos for under $149 CAD/night for 2 people. AirBNB is showing around 21 listings for under $149 CAD/night for 2 people. You could also try VRBO, which is claiming there are 12 properties for under $125 USD/night. Just run a search for Turks & Caicos when you get there. After you hit Search you can apply the price filter. toronto, yyz, caribbean, flight deals, western caribbean, providenciales, turks and caicos, pls and air canada rouge. 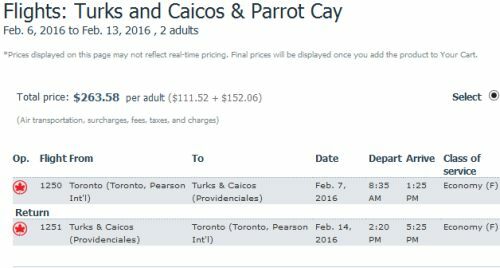 3 Responses to "Toronto to Turks and Caicos - $263 CAD roundtrip including taxes"
Hi! Is this deal still available for Feb 12th? I cannot find it when I search on the website it gives me a price of more than 1K. I've updated the list with all the dates that are currently showing in the $200s roundtrip including taxes. List updated on Feb 11 @ 2 PM EST.